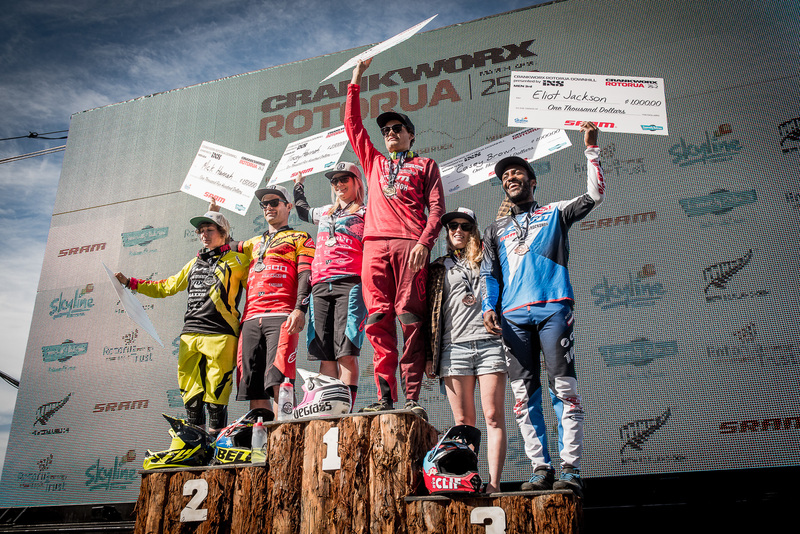 After an amazing time in Queenstown New Zealand, the team flew to Rotorua for the first major international event of the season: Crankworx! 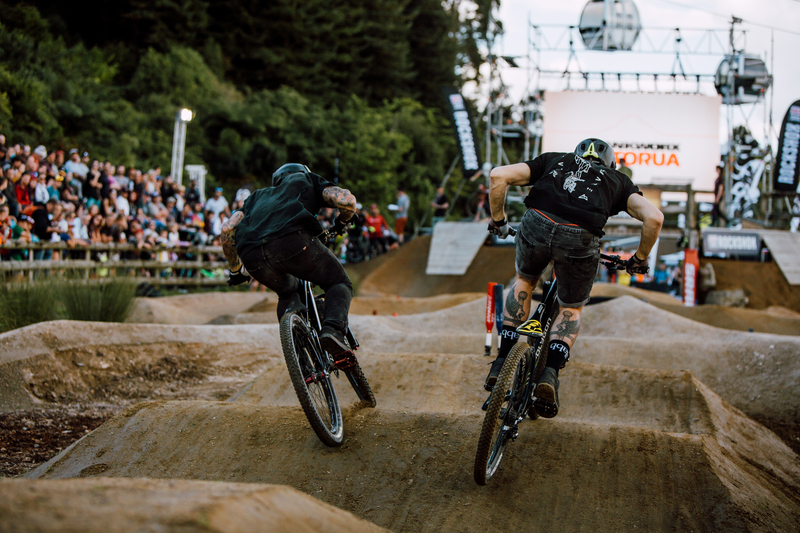 Crankworx is one of the team’s favorite event and this one didn’t disappoint! 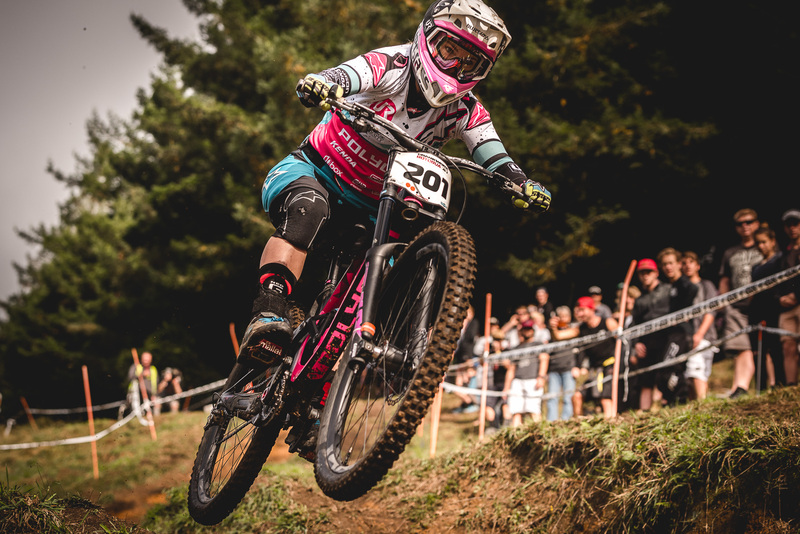 It was a bit nerve racking as this was the first international event of the season but also so exciting to see where all the hard work done in the winter would put the riders at. 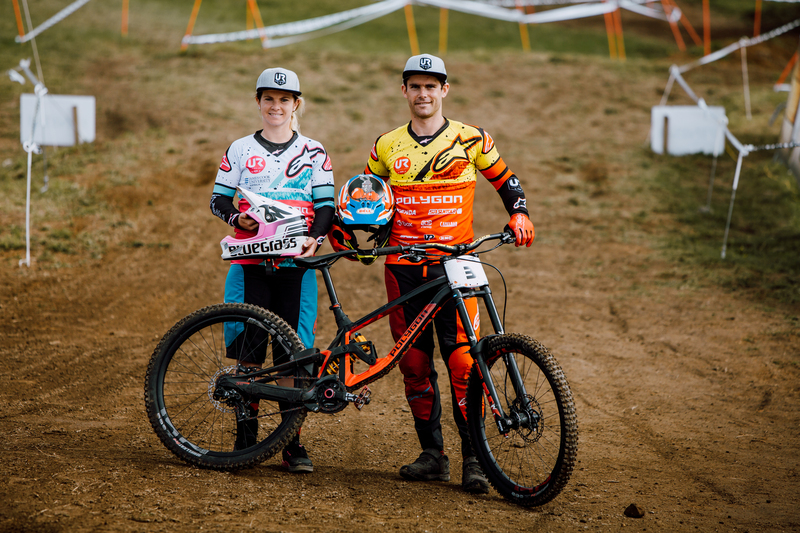 It’s amazing to see Tracey winning with a big margin and Mick getting the 2nd fastest time of the Downhill! Tracey, Mick and Alex were working hard all week to find the right lines under tough and changing conditions.The rain at the beginning of the week made the track super slippery. After a big crash on the first day of practice, Tracey could barely walk but she took well care of her ankle and was top shape on race day. She takes the win with a 6 second margin! Mick has been pleasing the crowd all week with his agressive style an signature no hander. 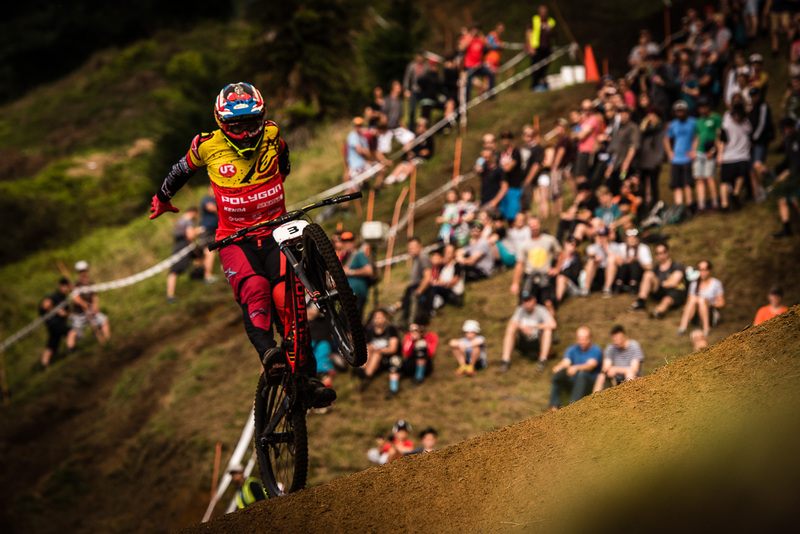 He did it once again during his race run and took the 2nd spot on the podium with a stacked field of regular world cup competitors. It’s good to see Mick fast on those slippery conditions. Your fastest sister and brother on the podium! As for Alex, couple hours before waking up on race day he got really sick and had no energy to hold onto the handlebars. 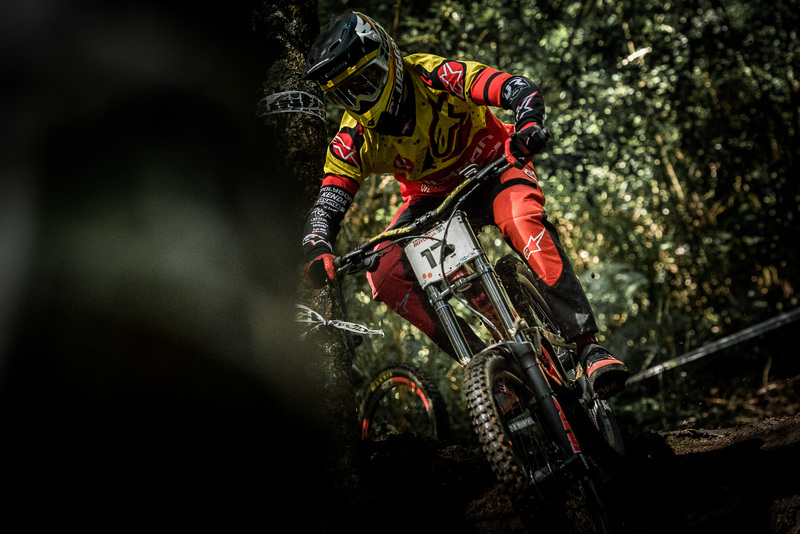 It such a shame as he has been training hard all winter and we were very excited for this race. The Spank Whip Off was held at night and made for a spectacular show. Alex was representing the team with his super stylish moto whips. 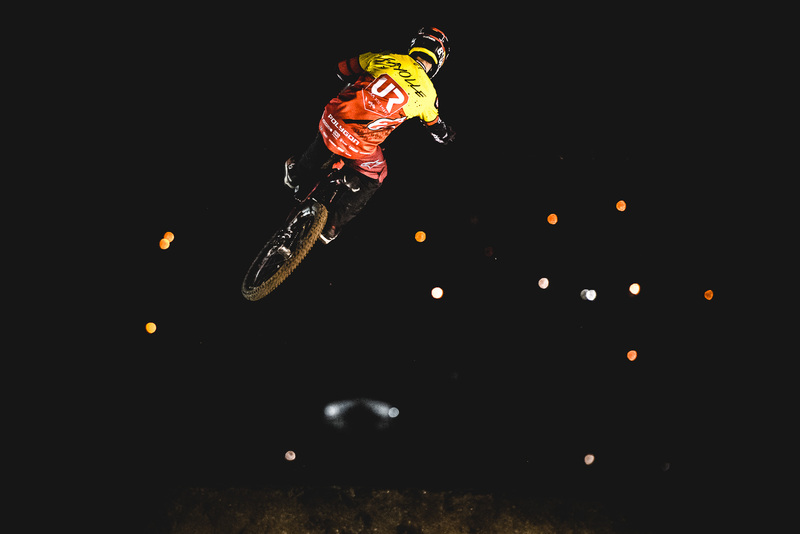 Fabien raced the pump track and made it to the 1/8 of final against Barry Nobles that finished 3rd.